20/03/18 - 220V ile Kullanım Hk. - null null, Merhabalar. Ürün datasheet'inde belirtildiği üzere 220V ile kullanıma uygundur. Teşekkür ederiz. 02/10/18 - CEVAP:SAPMA - Robotistan Yetkisi, Merhabalar, Bu ürünümüzün sapma değeri %5in altındadır ve hassasiyeti 66 mv/A dir. 18/03/18 - - VEYSEL KARANİ KOPARAL, Merhabalar Bu sensör 220v akım'ı ölçer mi ? 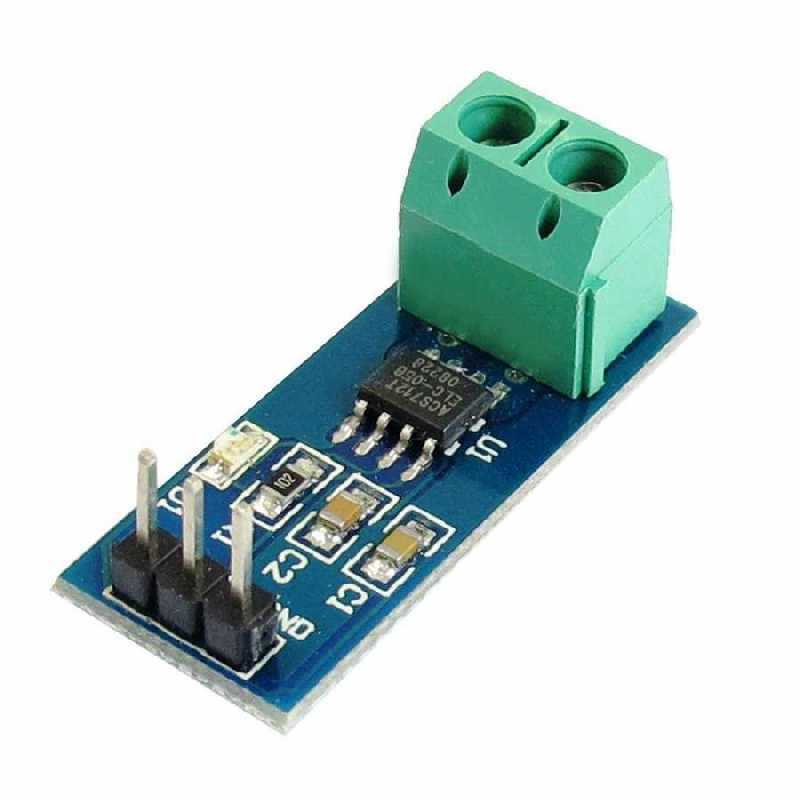 This board is a simple carrier of Allegro’s ±30 A ACS712T ELC-5B Hall effect-based linear current sensor. This version accepts a bidirectional current input with a magnitude up to 30 A and outputs a proportional analog voltage centered at Vcc/2 with a typical error of ±5%. It's output is analog (66 mV/A). Conductive path internal resistance is typically 1.2 mΩ. Use of a Hall effect sensor means the IC is able to electrically isolate (up to 2.1 kV RMS) the current path from the sensor’s electronics, which allows the sensor to be inserted anywhere along the current path and to be used in applications that require electrical isolation. Operating temperature range of -40°C to 85°C.